Before Maxwell was born I already had a idea of what products I would use on his skin. I was aware that baby's skin was sensitive and I hated the thought of putting something on Maxwell's skin which he may react to. After talking to other parents I heard lots of positive things about the brand Johnson's, since Maxwell was born we have used Johnson's bath products. Maxwell's skin has always been soft and he has never had a reaction to their products. Maxwell and I were lucky enough to receive a bundle of the new First Touch range from Johnson's. The range included: All in one wash, moisturising lotion, barrier cream, shampoo and wipes. The new First Touch range is a brand new fragrance-free range developed for newborns that includes everything mums need to cleanse and protect their baby’s delicate skin from top to toe. First of all we tried the wipes. Over time we have tried lots of different brands of wipes and to date we have been extremely happy with the Johnson's brand. Previously we have tried other brands and have found that the wipes are to wet or to dry and tend to come out in clumps which make it hard when changing nappies and cleaning messy hands and faces. When we tried the new First Touch range wipes we found that they were wet enough, did not come out in clumps and they did not split. They were perfect to use on Maxwell's skin and came in a large pack of 64 which means that they would last over a long period of time. Secondly we tried the First Touch shampoo and all in one wash. Maxwell is a huge fan of baths and adores nothing more than splashing around in a lot of bubbles. The all in one wash can be carefully poured into the bath due to its great pouring hole which is fairly small. This allows the all in one wash to flow into the bath instead of going into the bath clumpy which makes it harder to break down so less bubbles form. 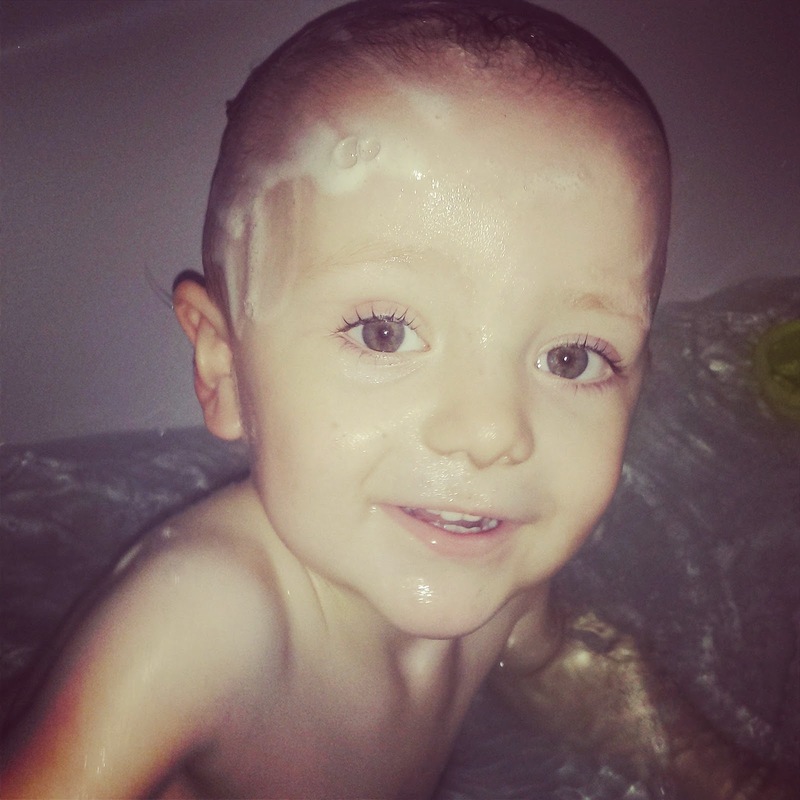 The First Touch shampoo was also a hit in our household, I used very little shampoo to wash Maxwell's hair however the shampoo seemed to spread out well and a lot of bubbles were formed meaning Maxwell's hair had a good wash. I liked the fact that these products were fragrance free as after bath time I do not always want to smell a strong smell of bath products on Maxwell's skin. 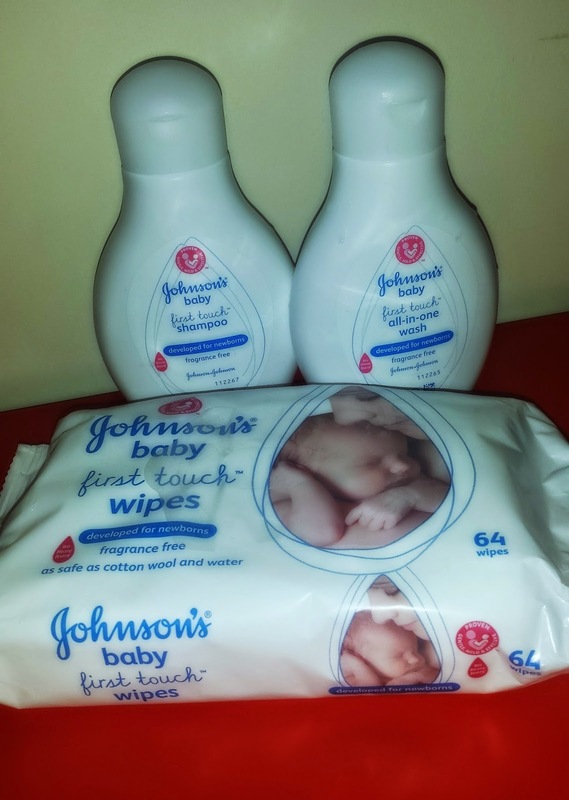 The Johnson’s Baby First Touch range is available at many supermarkets, chemists and also Boots. johnsons is all i used on my first, didnt trust anything else. Johnson's the go to shampoo for young kids! We are a lot of Johnson's... we swear by the stuff. I have always used Johnsons wipes but am sorry to say they seem to be a lot thinner and smaller than they used to be. There also seems to be a lot less of them in a pack. 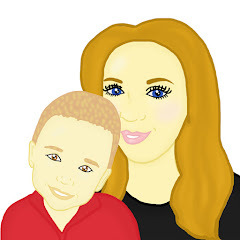 Always used Johnsons products & my children have never had a bad reaction to them. They smell lovely & do a great job. I even use Johnson's baby shampoo. I also like the all in one wash - makes it easier. I love Johnson's products we all use them in our house, I still use the baby shampoo on my hair and the baby lotion smells gorgeous.